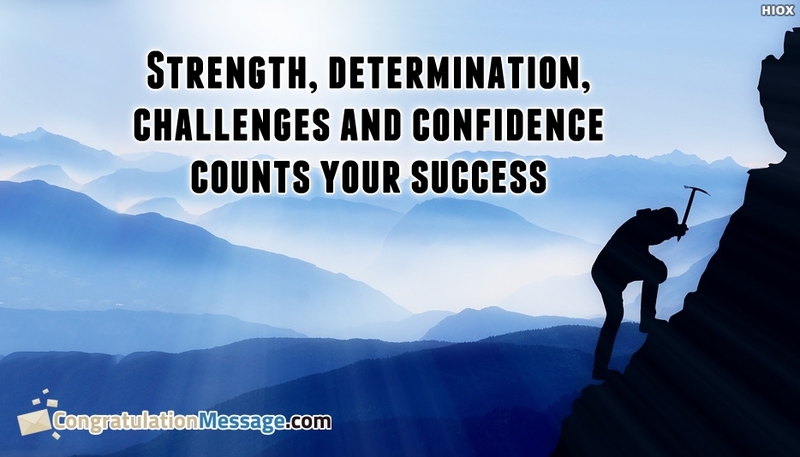 An inspirational quote to share with the achiever of success and congratulate him/her "Strength, Determination, Challenges and Confidence Counts Your Success". Congrats the person on their fabulous victory by sharing this motivational quote on a beautiful ecard. Express your heartfelt happiness for their success through this ecard.